An F16 fighter jet was used to rush specialized medical apparatus halfway across Norway in less than half an hour to save the life of a critically ill patient. The patient was admitted to a hospital in the city of Bodø, but the hospital didn’t have an ECMO machine. The apparatus is used to support heart and lungs, and the patient would have died without this machine. 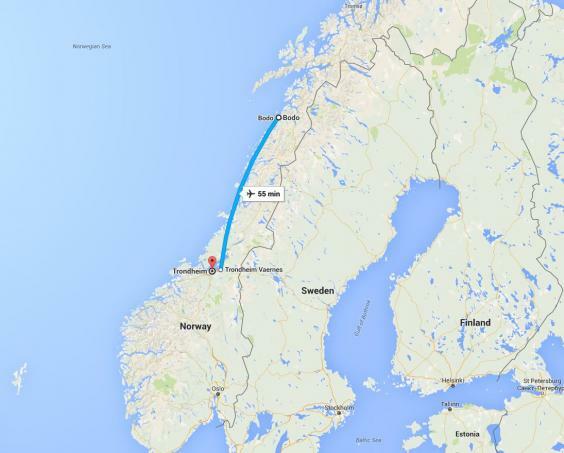 The closest hospital with the required machine was in a hospital 280 miles away in Trondheim. That is around 10-hour journey by road, but doctors feared for the life of the patient. So what do you do if you are in a hurry? You call the air force. The doctor at the hospital in Bodø call an air base near Trondheim for help. 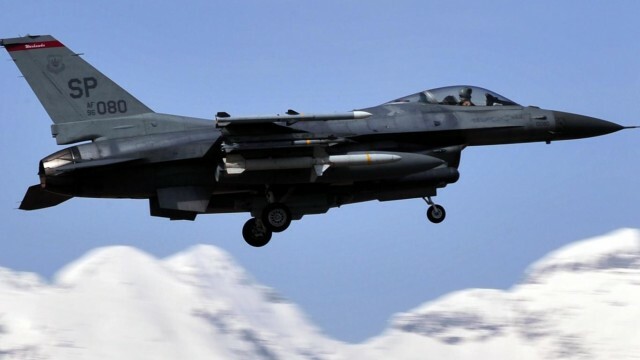 Lieutenant Colonel Kleppe mentioned that usually it takes around 35 minutes for the flight, but the pilot was allowed to push his F16 jet a little bit, and it took him less than 25 minutes to transport the essential machine. The ECMO machine was in Bodø hospital within 40 minutes after the call was made. Lieutenant Colonel Kleppe remarked that if the doctors had been a few minutes late with the call, the jets would have already departed. The doctors and the relatives of the patient showed their gratitude towards the air force and praised their willingness to help the civilians. this shows the importance of human life in the minds of educated people. must appreciate it. it is useless to waste words in describing our situation. Don’t take it personally, but it is not a good idea to curse yourself/ nation, every single minute. One can also bash the norwegians by thinking that the hospital was not equipped with ECMO and people in norway buy health insurances apart from paying 45-55 percent in taxes. Also, if you read the article carefully, it says ‘implicitly’ that the jets were not dispatched particularly to deliver the medical equipment. Luckily they were bound to fly and there was some room left in cargo and therefore they were able to carry ECMO. Hope you don’t take this comment personally. Then what our forces do in national disasters. Our forces are always up to serve our nation on emergency or at a CALL. As doctors made a CALL in emergency. 1. Forces take unlimited and unaudited budget. 2. Because of forces taking unlimited and unaudited budget, civilian institutions are in bad condition. Examples are civil defense, fire department, municipalities, volunteer movement and police; all of them are in shambles. 3. In situation of national disaster, military is called upon, such as earthquake, flood etc. 4. Military conducts needful services and then ministry of defense submits the bill of all that effort to central government. This bill is then paid by the treasurer. Most people do not know about point #4, military not only takes unaudited budget but they take even more money for natural disaster relief works. In the first place the disasters happen because infrastructure is not ready due to shortage of funds, because of the behemoth spending on military. In the second place, the relief effort cannot be undertaken by civilian institutions since they are in shambles, also because of behemoth spending on military. So you can see, military itself is cause of the problem, not the solution. On the other hand, forces are usually not up to serve the nation on emergency or call. Military was a failure in most national security situations such as 1971, the three uprisings in Balochistan, daku culture in Sindh. Most of these cases were then resolved by non-military methods, most of the times the resolution was not in Pakistan’s favour (best example 1971). Most of the problems caused for Pakistan were caused by military carrying out their jazba-e-jihad without the permission or knowledge of central government, examples are operation Gibraltar and the Kargil war. Then once the situation blows out of proportion, civilian government needs to scramble for ceasefire. There is a general apartheid between military and civilians. Garrisons are considered to be safe and very strict security checks are in place. Now military is selling expensive “safe” housing in housing colonies made in garrisons. Commercialization of military. Civilians are not allowed to go for juma into mosques inside garrisons. Apparently civilians are a neath class of muslims who should not enter their impure souls into garrison mosques. It is famous in Pakistan that F16 does Islamabad to Karachi in 19 minutes. Isl-Khi is 1500 km. How come this craft took 25 minutes for around 450 km? Some gentleman commented about the value of human life in Norway. It is just about a different culture. In Pakistan, the culture is religious, like Islam, Hindu, Christian, Buddhism (a little), Sikhism and some others. For religious people, human life is disposable and making more and more children is necessary. When there is too much of something, value goes own automatically (supply demand function). Another view-angle is that human life is just a transit or continuum through this world. Another view-angle is that life & death is the matter of God, or god, or gods, whatever people believe in, therefore humans should not intervene too much in the affairs of God/god/gods, and thus should not care too much about human life. Only a little effort warranted on the notion of humanly brotherhood should be made. Religious societies will never value human life because they have some or the other “higher purpose” for which consumption of human lives is a must. On the other hand, irreligiousness has also proven to be a failure (check the history of USSR) and an enemy of human rights, failing to value human life. Go figure the status of doomedness of humanity. 25 people including children died in Layyah, Punjab after eating poisoned sweet. Another 40 are in critical codition. They all died because Layyah District Headquarter Hospital doesn’t had necessary equipment to wash their stomch. They all could have been saved if Pakistan Army/Airforce, civil defence, healthy ministry had dispatched this equipment to this hospital. Everyone is sleeping over it including CM Showbaz Sharif. You cannot compare a welfare, educated society with Pakistan. Sir no offense but do correct your facts…… Pakistan military forces have been allocated 3.5 % of GDP for 2015-16 budget which is surely not unlimited. Secondly our armed forces are the only government organization which is conducting its audit on behalf of ministry of defense and finance ministry. Sir our military forces are the first one to respond to any national disaster, had it been flood, earthquake and even terrorism and even civil law enforcement which is clearly not their job but instead of they are doing what are beloved elected government should do……. 1971 was a political mess not a military failure…… Sir military has always been a very soft target for our government, politicians, media and general masses to blame military for their incompetence and lack to deliver……. FYI, 3.5 GDP is very high for an under developed country, it should be less than 2.5 %. Armed forces is the only institution where no external audit can be conducted, if there is any please show me. They have internal audit and never released anything in public while they use public money too. 1971 was a political mess or war, we have army rule so don;t shift the blame. plus thousands of soldiers lay down weapons wasn’t a political mess as they follow orders of their officers not politicians. We lost the war and great nations and armys accept their mistakes instead of releasing songs. Military was never soft target for anyone and specially no one can speak about them on media which is already controlled by them otherwise we may heard something on okara operation by army and killing of innocent farmers. The next you talk about disasters, yes all countries called their army’s when they have situation like that and fyi anything done by the army within the country, they charge for their services even for the operations like in karachi or zarb e azb, no matter whether they are the ones who created all this. Dealing with terrorism isn’t the job of police by the way. If you still stand by your words then please provide me the audit reports of DHA, coz as per my knowledge through supreme court in DHA case, the land acquired for the martyrs and plots then given to officers. Nice analysis. But very few will understand your point. Actually the problem is not with the religion. The true culprit is the politics in the name of religion or politics in disguise of religion which haunts most of the 3rd world countries & failed nations from the start of history of mankind. Well top speed of F16 is around Mach 2. i.e 2400 Km. So traveling 1500 Km is 16 sec is not practically possible for it.